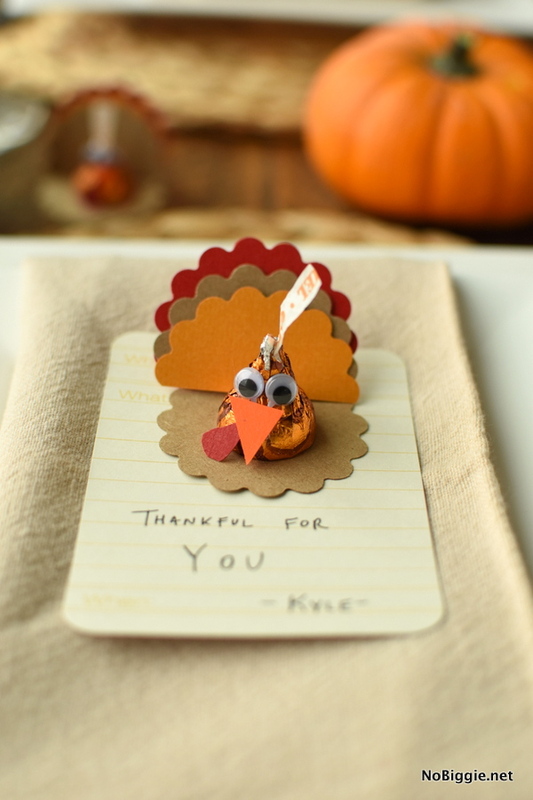 Here’s a fun paper craft just in time for Thanksgiving. 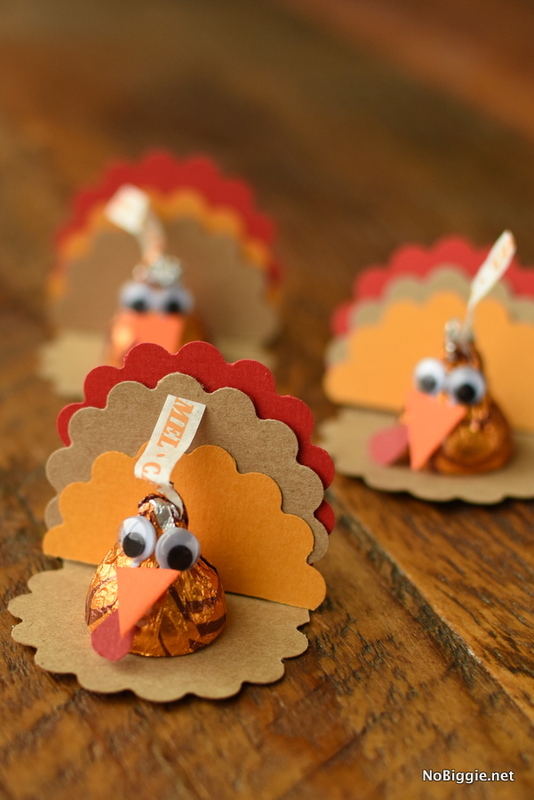 These little Thanksgiving Turkey kisses are so easy to make and they make a sweet treat for Turkey Day. Aren’t they the cutest?! Plus there’s chocolate involved! Win-win! 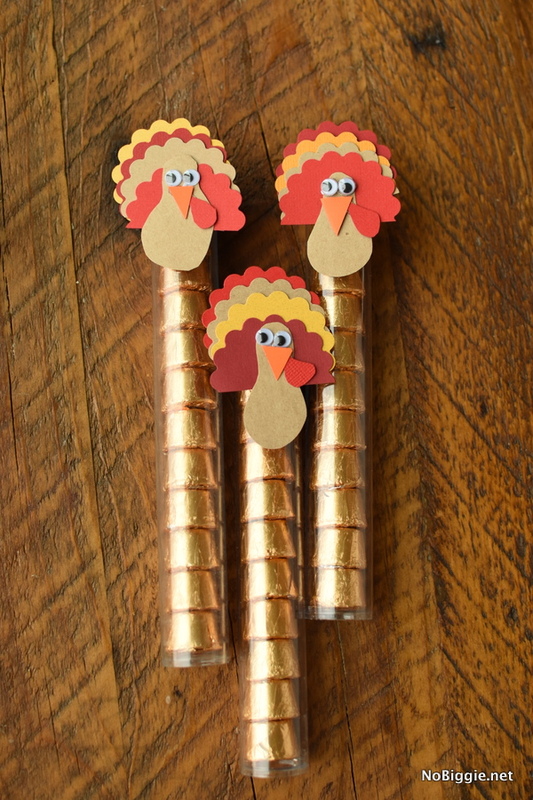 We made a few different turkeys, some with Hershey Kisses, and some with Rolos stacked inside clear candy tubes. Punch out a few scolloped circles in each color, with more of the kraft colored paper. Create a straight line fold on the outside edge of one of the kraft circles, so that when laying flat the folded edge sticks upward. Gather three colors of scolloped circles together. Stagger them in height so that you can see each color. With scissors cut each one about in half, more or less depending on which one will be in front and which one will be in back. 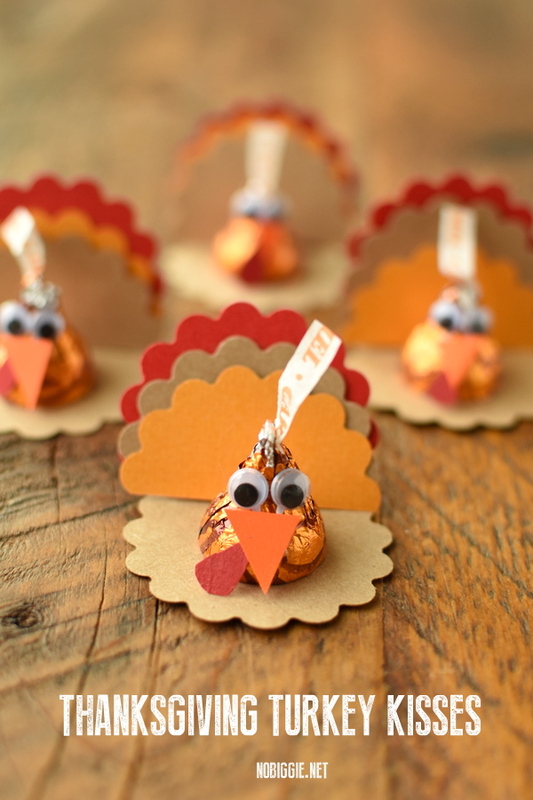 Cut out the Turkey’s beak in orange paper in a triangle shape, and the Turkey’s snood (or wattle) in red paper. With a few glue dots stick them all together. Stick on the googly eyes, the beak and the snood. If you want it more secure, you could also use a low temp hot glue gun to adhere it all together. 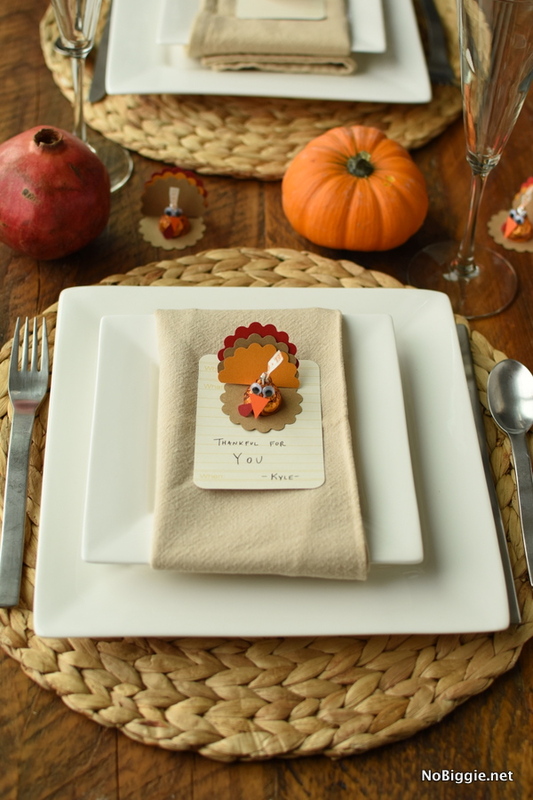 These would be fun to have at every plate at your Thanksgiving Dinner table as a little place setting. 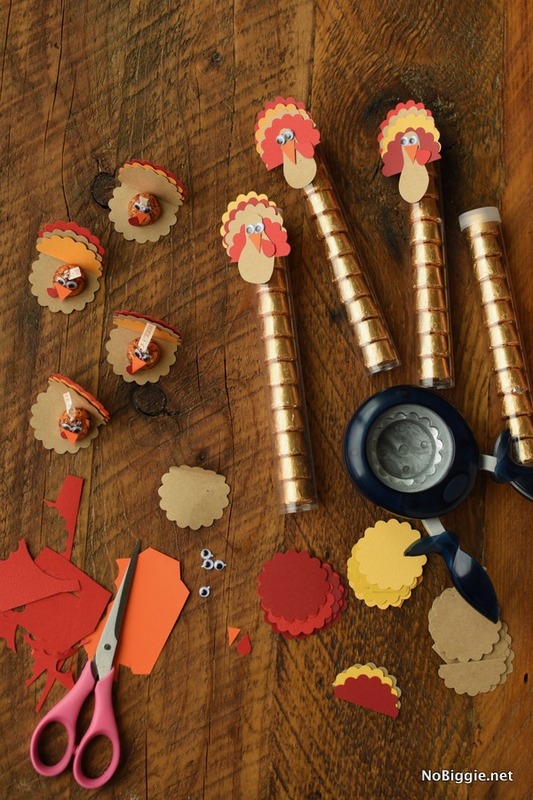 The best part is that it’s a fun craft for the kids to get involved. 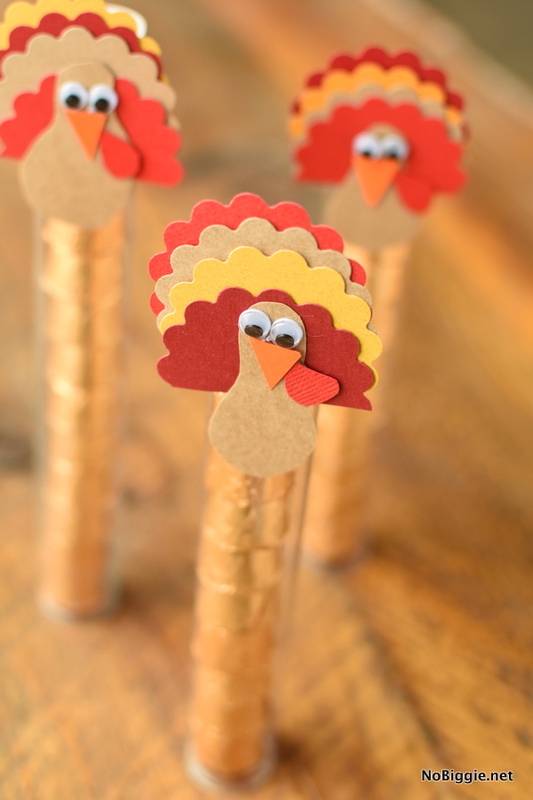 You could set up a small card table with all the supplies and let the kids make them. 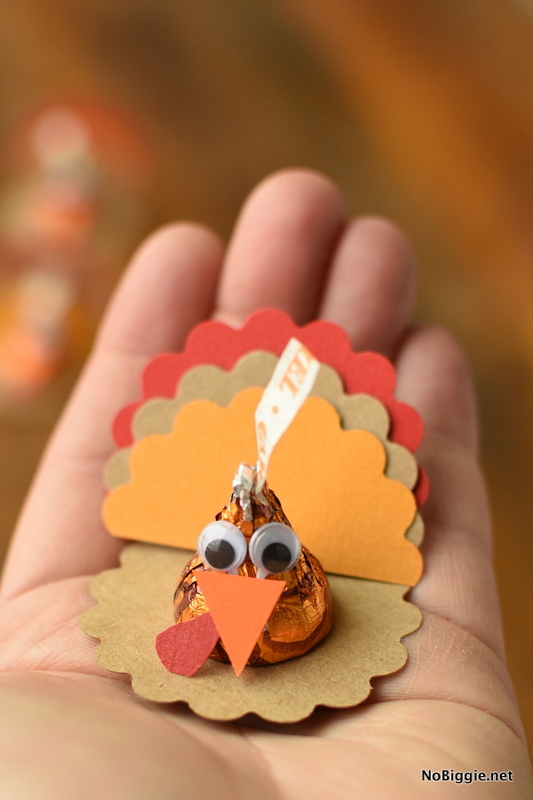 For the paper turkeys with the Rolos, we just used scissors and hand cut the body for the turkey. Super simple and totally not perfect… the imperfection is the part I like best. I hope you all enjoy the day with the ones you love most…Happy Thanksgiving!